Admission: Admission is $5.00. Children under 9 Free with adult. All proceeds benefit the Old Fort. 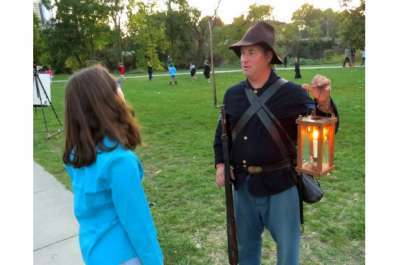 The "ghosts" from the area extend an invitation to join them at Fort Wayne’s Historic Old Fort. Lantern Tours of the Fort will be offered 6:00 p.m. – 10:30 p.m. on Saturday, October 19th as part of Downtown Fort Wayne’s Fright Night. Explore the Fort by night and hear tales of actual encounters with the Fort’s ghosts as told by re-enactors, visitors and “ghost watchers”. 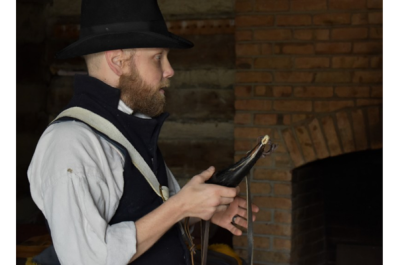 Maybe the Old Fort’s resident ghost, Lt. Ostrander, will join us in welcoming you! But keep an eye out for the Headless Horseman! Tour Admission: $5, children under 9 free with adult. Ticket sales close at 9:30pm and the final tour of the night starts at 10:30pm. 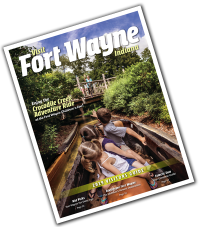 For more information: www.oldfortwayne.org or call (260) 437-2836. The Old Fort is located at 1201 Spy Run Ave Fort Wayne, IN 46805. Parking is available at Headwaters and Lawton Parks.